A large bath, the Serenity Soco 7142C is designed to accommodate two bathers with center drain and two backrests. The flat rim allows for undermount installation, but it would also look great as a drop-in bathtub. A tile flange and front skirt are optional for alcove installation. Perfect bathtub for a soaking tub and it will even keep the water warm as the HotSoak. For water movement, the air tub creates vigorous bubbles or the DriftBath moves the water like a stream. 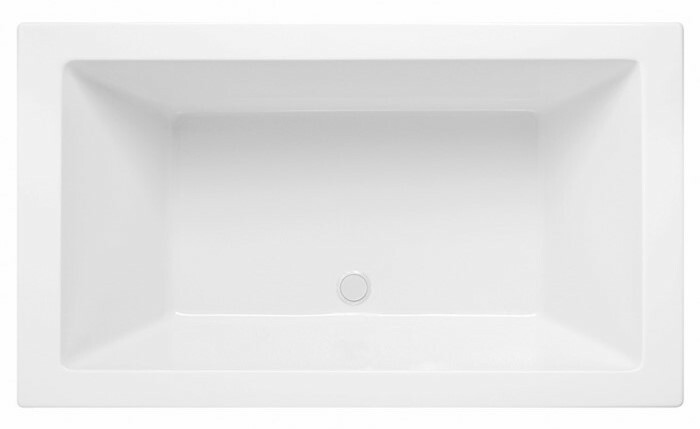 Formerly named Serenity 35, this sleek rectangle tub is designed for urban and contemporary settings. Optional Linear Drain which allows for a higher water level. 71 1/4" x 41 1/2" x 24"